Afterlife karkötő | Lucleon | Készleten! A Trendhim dán beszállítója a lenyűgöző ékszereiről és jó minőségű karkötőiről ismert Lucleon. Ez itt egy nagyon klassz karkötőszett, amely három, különböző anyagú karkötőből áll, ami számtalan párosítási lehetőséget hord magában! Az első karkötő magasfényű, finomszemcsés körtefából készült, amely a fémmedálján a Lucleon oroszlánfejű logója is megtalálható. A második karkötő erősen polírozott fekete színű fa gyöngyöket tartalmaz, melyek úgy néznek ki, mint a drága tahiti fekete gyöngyök. A készlet harmadik karkötője 100% valódi lávakő gyöngyökből áll. Mindhárom karkötő plusz előnye, hogy a függelékek tartós, rugalmas szilikon gumiszalagra vannak rögzítve. I ordered three bracelets for my boyfriend. They arrived in perfect condition and on time. I highly recommend. This bracelet meets all expectations. Beautiful beads and a sturdy thread. Even for men with a wider wrist, the bracelets are easy to do and are not too tight. Very tough bracelet for a tough man. Exact description, very good quality and very fast delivery. Totally satisfied. Hello Very good product quality. I expected what I received. Just a small detail, the elastic knot of the matte black strap comes out too much. A shame, but very satisfied with the product. I am satisfied with the product. I am very satisfied with the purchased product !! Fast service and beautiful jewelry, highly recommended. Absolutely great. Quality product and well packaged. Very nice bracelet and even more beautiful in reality! Be a present and the person was very pleased. Is a very stylish bracelet but at the same time it is discreet, it also fits the person who wants to stand out a bit. The colors are perfect because you not only have to have them together but can match each part with something else! Very satisfied with both the purchase and the company! Very satisfied, exactly as seen on the site, size indications are correct, fast delivery! The bracelets are really nice and look like them in the picture really well. Bracelet was all that I expected. Nothing more nothing less. Price / quality is fine. "K will buy another one. The product is actually more beautiful in reality. Nice bracelets. Length is a bit difficult to estimate. Better take something too spacious. Really cool and good quality. And what a price. Fast delivery, nice approach to the customer and a great product so on !!!!! Super satisfied !! And a tip for future customers "just order and enjoy these great products !!!! There is nothing negative at all. Fast delivery and good prices. A great plus for humorous mail in connection with delivery. Always nice when the suppliers do the little extra. Satisfied, fast service, nice approach to sales! Beads look nice set of 3. 1 bracelet was shorter than the other 2. So sit tight. 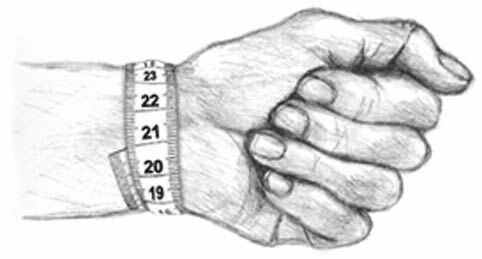 Man with a wide wrist (21-22 cm). Tip if necessary. Sizes! Completely trouble-free and fast delivery with great service. Fine in color and solid bracelet! What was good was that they looked the same as in the picture, so they looked as expected. It is very good. What was a little worse was that the fit was not perfect, unfortunately. But it is easily fixed. It was easy to order and easy to find on the page. Fast delivery and high level of service. Three bracelets for a good price.